Check out this new trailer for the Big Little Lies TV show from HBO. From David E. Kelley and based on the book by Liane Moriarty, the drama follows a group of mothers living in the seemingly perfect town of Monterey, California. Big Little Lies, season one, premieres on HBO February 19th at 9:00pm ET/PT. Reese Witherspoon, Nicole Kidman, Shailene Woodley, Laura Dern, Alexander Skarsgård, and Adam Scott star. What do you think? Did you enjoy the Big Little Lies TV show trailer? Do you plan to check out the series premiere on HBO? 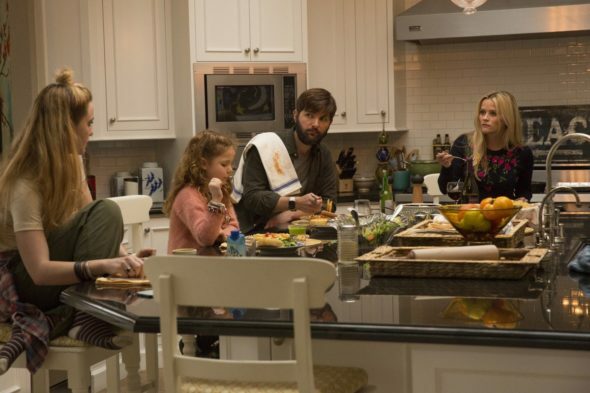 More about: Big Little Lies, Big Little Lies: canceled or renewed?, HBO TV shows: canceled or renewed? Big Little Lies: Nicole Kidman Talks Filming Season Two; Could There Be a Third Season?